The use of blockchain within corporations (enterprise blockchain) will dominate real-world projects in the near-term — as identified in my earlier article Blockchain: A Prediction. Enterprise blockchain will also disrupt and claim a significant fraction of the $500B+ global enterprise software market. Real world use-cases for blockchain abound in the enterprise. IBM alone is working with hundreds of enterprises on blockchain implementations. The latest tally from insiders is that there have been tens of thousands of blockchain pilots run within corporations. This is a much larger number than the hundreds of ICOs that have taken place over the last year. These capabilities can be sub-divided into horizontal applications across industries and industry specific use cases for specific verticals. Some of these use cases are highlighted below and will be covered in greater depth in a subsequent article. Horizontal applications include: supply chain management, product provenance & authenticity, process verification & audit, system interoperability & data sharing, and product life-cycle data store. Vertical specific applications include: transaction settlement (finance & insurance), cross-border trades (finance), food provenance and authenticity (health/safety), biometrics monitoring (health), Personal Health Record (PHR: health), and virtual clinical trials (pharma/health). The requirements for enterprise blockchains are different from those developed for consumers and consumer applications. Enterprises are very concerned about the privacy and security of their data. They are also very protective of the intellectual property in their business processes. Most enterprises do not want their transactions and business processes to be visible to anyone but authorized users. It is this same rationale that led most enterprises to adopt private and then hybrid cloud architectures, rather than public cloud solutions. As a result, most enterprises are not keen to adopt the well-known public blockchain solutions. Let’s review public blockchain. Most public blockchains (like Bitcoin or Ethereum) store data so that it is easily accessible to anyone. Such transparency is one of the benefits of a public blockchain. So for example, within the Bitcoin blockchain, given a transaction ID it is possible for anyone to see that Person A (Alice) sent a certain amount of Bitcoin to Person B (Bob). Additionally, if I’m running a node, I can see and use the business logic that runs both consensus as well as the transactions within the Bitcoin network. Running a public blockchain within an enterprise, however, is more problematic. Doing so could enable a company’s competitors to track all of its business activities as well as understand the business processes used in its operations. Since smart contracts code the logic of a business process, it can include pricing, discounting, bundles, frequency of transactions, dependencies, etc. This information is the intellectual property of a business and a non-starter for public consumption. As a result, enterprise blockchains employ two important concepts not found in most public chains: permissioning and private transactions. A permissioned blockchain is one in which the nodes are run only by ‘trusted’ participants and only authorized users can take part in transactions. Private transactions are typically run through corresponding private smart contracts that hide the business logic from all but authorized users. Enterprise blockchains use different approaches from cryptography to access control to ensure that private transactions are visible to only authorized parties. · R3 Fintech Consortium: 200 members including Barclays, Bank of America, Citibank, Morgan Stanley, Goldman Sachs, JP Morgan, Credit Suisse, UBS, Commonwealth Bank of Australia, Wells Fargo, ING, BNP Paribas, US Bancorp, Deutsche Bank, HSBC, State Street. Blockchain consensus protocols are a trade-off between speed, energy and security. The most secure protocols (i.e. Proof of Work) are energy intensive and very slow (<10 transactions per second). In a private chain or permissioned public chain, the network selects the groups that will run the nodes. Since these groups are vetted or selected from a pool of trusted entities, they create ‘trusted’ nodes. Trust is therefore much less of a concern than in a public blockchain where the groups that run the nodes are anonymous. As a result, enterprise blockchains can afford to use much less secure consensus protocols to maximize speed of transactions while reducing energy consumed. On public chains using Proof of Work (PoW) consensus, all of the nodes run the same computations in a competition in order to validate the transactions. Regardless of the number of nodes, they all function like a single computer. On the other hand, in permissioned chains subsets of the nodes can run less intensive consensus protocols, which enables parallel processing of the consensus. 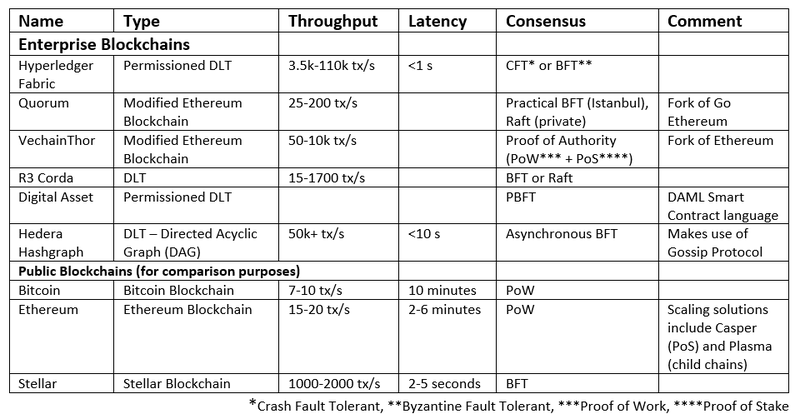 The combination of trusted nodes, parallel processing, and less demanding consensus protocols (typically Byzantine Fault Tolerant [BFT]) leads to higher performing networks. Permissioned chains or permissioned distributed ledgers are therefore typically more “performant” than public chains. The EEA is an alliance of over 500 companies that are focused on enterprise blockchain solutions that employ the Ethereum blockchain. Over the last year they have been in discussions to determine ways to modify the Ethereum public blockchain so that it is a better fit with corporations. As is clear, the EEA recommendations align with the requirements that we laid out above. As you’ll see in the sections that follow, many of the leading enterprise blockchain and distributed ledger technology platforms also make use of most of these same approaches. It is important to note that not all the enterprise solutions covered in this section are blockchains. A blockchain is actually a special kind of technology called distributed ledger technology (DLT). The primary idea behind DLT is that data is stored within a distributed ledger or what can be thought of as a distributed database. In a blockchain, the data in the ledger is entered as blocks of data. These blocks are linked together by storing some hashed data from the preceding block in the header of each subsequent block. In this way the data is stored as a linked chain of blocks, or a blockchain. As can be seen, enterprise blockchains typically have much higher throughput, lower latency, and often less complex consensus protocols than standard public blockchains like Bitcoin or Ethereum. The sections that follow provide more details about each platform. 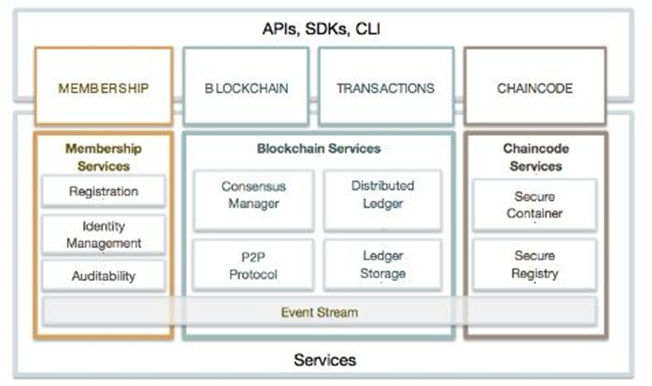 Hyperledger Fabric is a distributed ledger technology (DLT) that was developed by IBM and Digital Asset. The source code was open sourced and donated to the Linux Foundation which maintains it under the Hyperledger Project. Fabric is a modular platform that allows customization and utilizes permissioned blockchain technology to build private business networks. Standard blockchain solutions use an Order-Execute paradigm whereby transactions can only proceed once a consensus mechanism has verified their order within a block and then agreed that the transactions are valid. As Fabric is typically deployed in a trusted environment (i.e. within a company, group of companies, or a consortium), the design has been changed to Execute-Order-Validate whereby transactions can proceed before consensus is reached. Following execution, consensus is used to order the transactions, validate them, and then write them to the ledger. Fabric creates a high-performance environment by combining a number of different capabilities. First, transactions can execute before consensus which leads to a lower delay. 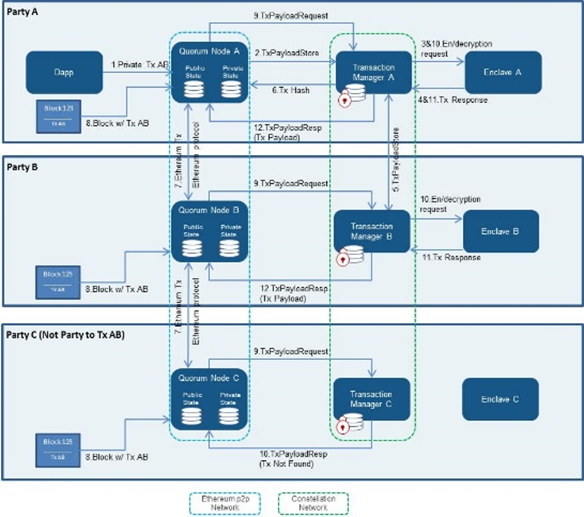 Next, consensus is pluggable and can use faster Crash Fault Tolerant (CFT) or a range of Byzantine Fault Tolerant (BFT) protocols. Also, consensus only relies on a subset of nodes, which enables parallel processing. Finally, sets of transactions for a given smart contract do not need to be executed in a specific order. The primary mechanism for privacy and permissioning is the creation of sub-channels. These sub-channels enable groups within a specific network to specify rules for transactions that are not seen by other members of the same network. So, for example, partners within a network might want to keep specific transactions with their customers confidential so that others within the network do not have access to pricing, business logic, or transaction frequency data. Sub-channels are very useful and can enable a high-level of customization; however, feedback from the field has indicated that setup time for each sub-channel is very tedious and time-consuming and that many sub-channels are generally required for each partner. As a result, deployment times for Fabric can be long and implementations can be very expensive. Though not covered here there are other versions of Hyperledger including Sawtooth (from Intel), Indy (from Sovrin Foundation), Burrow (uses the Ethereum Virtual Machine for smart contracts and cryptocurrency), and Iroha (developed by a mobile-centric team based in Japan). Each of these projects has a different focus and implementation. I have focused on Fabric because it is the most developed and has the most deployments. Quorum is a permissioned blockchain platform that was developed specifically for enterprise use cases. It is a fork of Go Ethereum that was created by JP Morgan, the major bank based in New York City. Since it is based on Ethereum it uses many of the elements of the well-known public blockchain platform. Even though it is based on Ethereum, both transactions and smart contracts can be made private in Quorum. 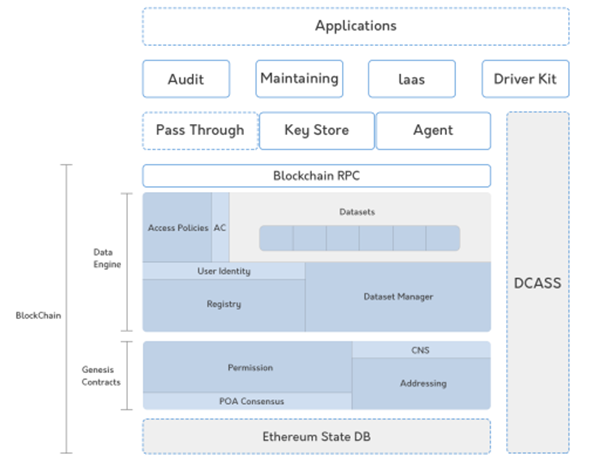 As with Hyperledger Fabric (above) this enables competing entities to work together without sharing their customer data (ledger information) or business logic/terms (smart contract implementations). For a private transaction, the identities of the transacting parties are specified in a PrivateFor parameter. Those parties not included in this parameter will only see hashed data that can only be decrypted with the private keys of the participating parties. As a result, transacting parties will be able to decrypt the information and so will execute the requisite smart contract (Contract Code). All other parties will not be able to decrypt the transaction information and so will skip the transaction. Since Quorum operates in a trusted node environment, it can use a simpler consensus protocol than Ethereum which results in lower latency and faster transaction processing times (dozens to hundreds of transactions per second) when compared to Ethereum mainnet. At the same time, all upgrades to Ethereum are built in and so Quorum has the advantage of leveraging the very dynamic Ethereum developer ecosystem. · FinTech: National Bank of Canada, Goldman Sachs, Legg Mason, and others. VechainThor is a permissioned enterprise blockchain platform that was initially created for supply chain management. Because of its supply chain focus, VeChainThor is also manufacturing RFID and NFC chips that can be used to track products through a supply chain. These chips will hold a private key and public key pair and will also measure and store environmental conditions such as temperature and humidity. The public key of the chip as well as a hash of the data will be stored on the blockchain. The actual data will be stored in a decentralized data store known as CHAOS. Though VechainThor was initially focused on supply chain management, it has broadened its applicability to work with many other enterprise scenarios. Other use cases include product authenticity and provenance, product certification, logistics, real-time monitoring, and digital passports. VechainThor is a fork of Ethereum that uses solidity smart contracts, the Ethereum Virtual Machine (EVM), and the Ethereum data store. Unlike most other platforms reviewed in this section, it does employ cryptocurrency in its solution and has 2 tokens. One token, VechainThor (VET), is an ERC-20 token that is actively traded on many cryptocurrency exchanges. A second token, Thor Power, is used internally to the platform to pay for all transaction fees and smart contract execution fees. To minimize volatility, Thor Power is set up as a stable coin that will use a burn and mint equilibrium model to minimize price variation. The consensus nodes are known as Authority Nodes or Thrudheim Masternodes. These nodes are limited to 101 in total and have the highest level of Thor Power generation. They are permissioned by the foundation and require a commitment of 250k VET (approximately $1M at current prices). Interestingly, it is also a closed source project in which the Foundation controls the code which means that hard forks by a developer community are not possible. WaltonChain: WaltonChain is similar to VeChainThor in that it has been optimized for supply chain management. The name of the blockchain is derived from the inventor of RFID, Charlie Walton. Like VeChainThor, WaltonChain uses proprietary RFID chips, is based on the Ethereum blockchain, uses an ERC-20 exchange token (WTC), and is headquartered in China. WaltonChain is partnered with Alibaba in the IoT Connectivity Alliance and has a number of large Chinese and European companies using its products. OriginTrail: OriginTrail is a Slovenian company that originally developed its decentralized supply chain management platform for the food industry. It has pilot deployments in Europe, China, and the US. OriginTrail uses its Trace token and can aggregate data across multiple blockchains including Ethereum, IOTA, Hyperledger, and NEO. Rather than using proprietary RFID tags the platform synchronizes the supply chain by pulling data out of the ERP systems of the suppliers. R3 is an alliance of 200 financial institutions that has developed a private and permissioned DLT named Corda specifically for financial transactions. Unlike most blockchain technologies, Corda transactions are recorded in a SQL database that is more easily searchable than a blockchain ledger. 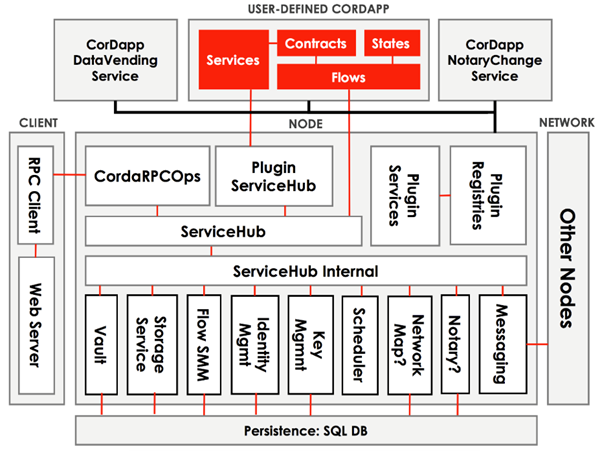 Unique features of Corda include: Ricardian smart contracts that include legal prose as well as code, smart contracts are written in Java or Kotlin (variant of Scala), each node writes data to a vault that tracks all data in UTXO format(like Bitcoin), and consensus is carried out by notaries that check for both validity and uniqueness. Digital Asset is another permissioned DLT specifically designed for financial applications. The platform allows for the development of a distributed database that enables participants to synchronize information about transactions within the network while keeping details of the transactions private. An overview of this structure is shown in the diagram below. In the financial system most participants have only partial information about transactions and sit atop siloed data stores. Transaction processing (ie stock trades, loan processing, etc.) generally takes days as each of the parties in a transaction goes through a process of reconciliation to agree on what has taken place. Digital Asset provides a DLT which creates an immutable record of truth so that reconciliation becomes unnecessary and transaction processing becomes faster and less costly. An important part of the Digital Asset platform is its Digital Asset Modeling Language (DAML). 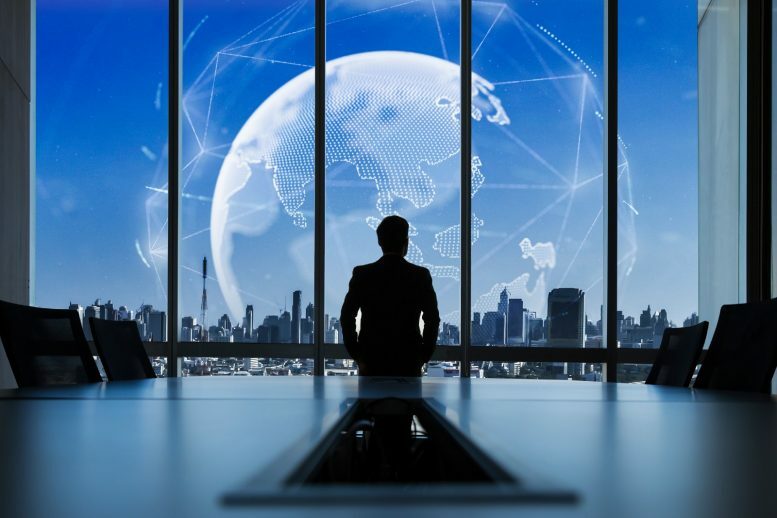 This is a specialist language for financial industry smart contract development that enables business analysts, rather than developers, to create the smart contracts for the system. These smart contracts run permissioned and private so that only the parties involved in the transaction carry out consensus. Key customers, investors, and partners include: Australia Stock Exchange (ASX), ABN Amro, Accenture, BNP Paribas, Citi, Goldman Sachs, IBM, and JP Morgan. 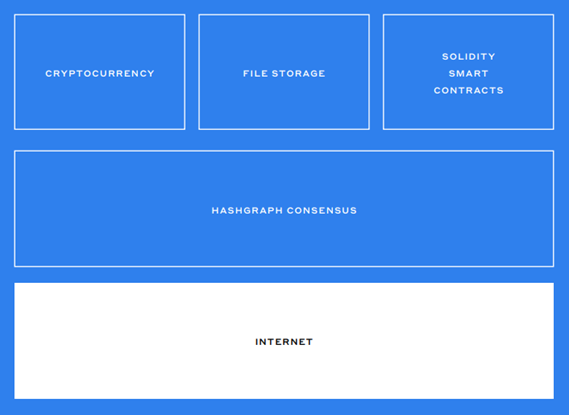 Hedera Hashgraph, developed by Swirlds, is a DLT that can be configured to be either public or private and permissioned. The public version is free of charge while the private/permissioned version is provided under a paid license. 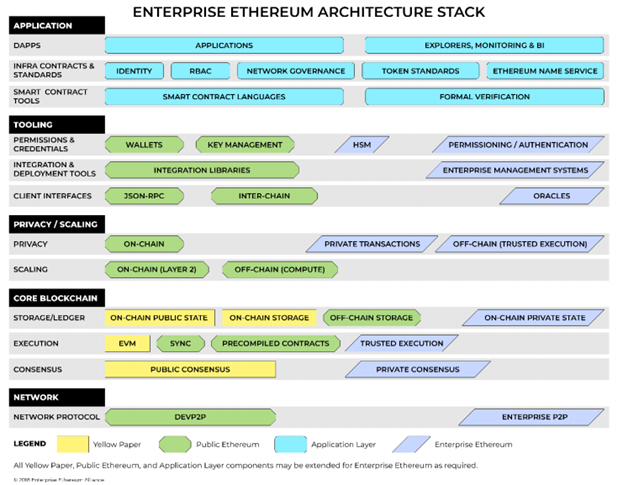 The platform contains a number of novel features including: 1) a governing council of 39 leading organizations and enterprises, 2) a directed acyclic graph (DAG)-based consensus protocol known as asynchronous BFT that can process many thousands of transactions per second, 3) a native cryptocurrency that is staked for running nodes and used for accessing services, and 4) a patented platform that cannot be forked by the community. One of the major customers for Hedera Hashgraph is a consortium of 13 credit unions known as CULedger. This consortium is building a DLT solution for cross-border payments. Other customers include Machine Zone (a large video games developer), Satori, Invita Health, and Artbit. Enterprise blockchain is a quiet revolution. There are thousands of projects and hundreds of enterprises evaluating and deploying blockchain solutions today. The platforms are ready, the specifications are clear, and the projects are primed for launch. I see this area as the largest opportunity for growth, investment and value creation in the blockchain space over the next few years. Written by Jorden Woods, Founding Partner at StarChain Venutres. Who will be speaking at Blockchain Expo North America 2018. He thanks colleague Radhika Iyengar-Emens, at DoubleNova Group, for her contributions.